Fixed gas detection systems are not always an option. During remodeling and maintenance these systems can be taken down leaving workers vulnerable and without an easy solution to remedy it. We saw this issue and developed a lightweight, portable gas detection system that can easily be transported around facilities during these down times or even to be used in areas where there is no gas detection at all. Coritech Services’ portable gas detection systems are designed to detect 3 gases: oxygen, carbon monoxide, and carbon dioxide. 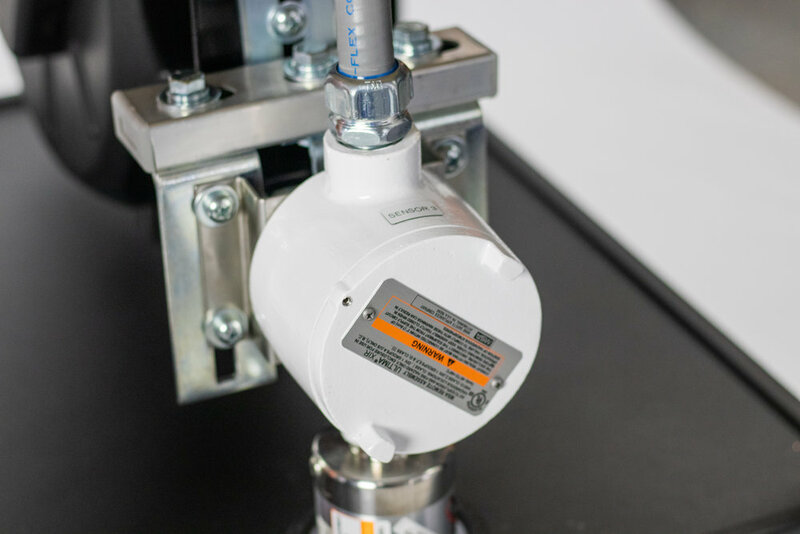 Our portable gas detection systems are outfitted with two alarms: an amber beacon to alert workers of dangerous levels of gasses and a red beacon combined with a horn to let workers know to immediately clear the area where gases have reached hazardous or potentially fatal levels. All of these components can be swapped or configured based on your specific gas detection needs. Contact us today to learn about how our portable gas detection cart’s can keep you safe. The standard configuration is equipped to detect three types of gases: oxygen, carbon monoxide, carbon dioxide. The sensors detect toxic levels of both carbon monoxide and carbon dioxide, combustible levels of oxygen, along with dangerous oxygen deficiency. These sensors can be swapped based on your specific safety needs. To learn more about Coritech’s portable gas detection systems and how we can configure it to meet your facility’s needs, contact us today to talk to one of our engineers.